Let me just tell you that these tacos were epic. Like, truly, the best fish tacos of my life. I had worked my tail off at a spinning class that morning so I didn't feel bad eating three whole tacos (in my defense, they are small) - I got one shrimp, smoked tuna and cheese taco, one shrimp and red pepper taco and one original Ensanada fish taco. They were all amazing. I can't wait to go back! I definitely have a new favorite restaurant to add to my list! 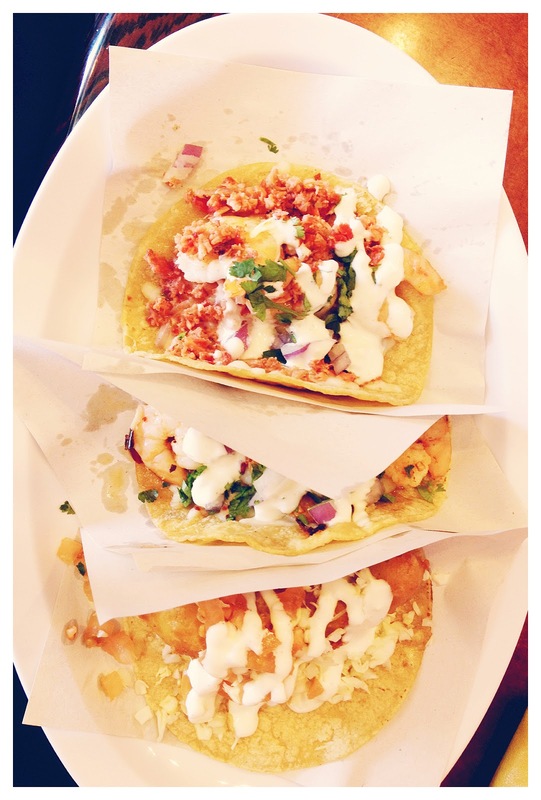 Best seafood tacos in all of San Diego (maybe the world, I'm just saying it's worth a visit)! 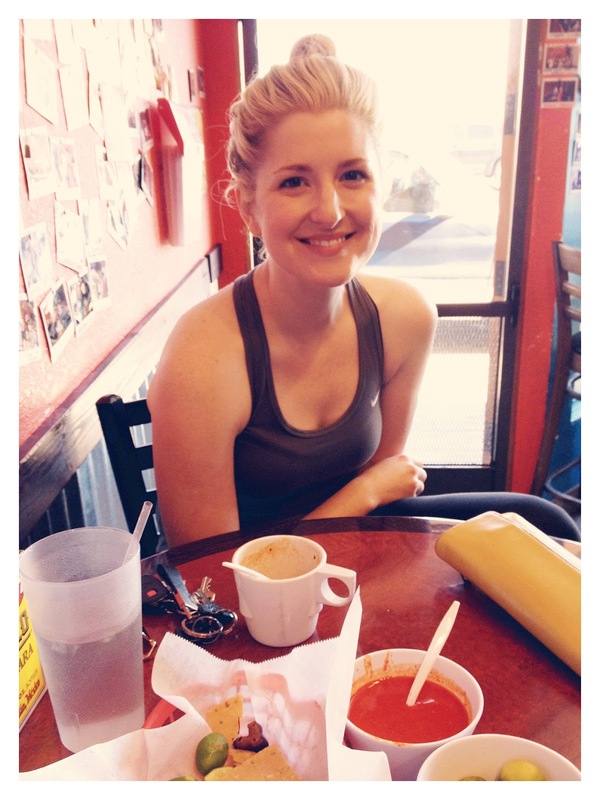 Everything I have had here has been AMAZING (from the soup and oysters to the many different types of tacos)! If you have an idea of a taco, they will make it for you (custom order). It's a little tiny place and is perfect for smaller groups. I may go today for lunch actually. Look how tiny you are!!! You look great. I could not agree with you more. Jimmy Hulas's has the best fish tacos!!! I also had the best blueberry mojito there recently as well. What's not to like??? Happy to have found your blog.